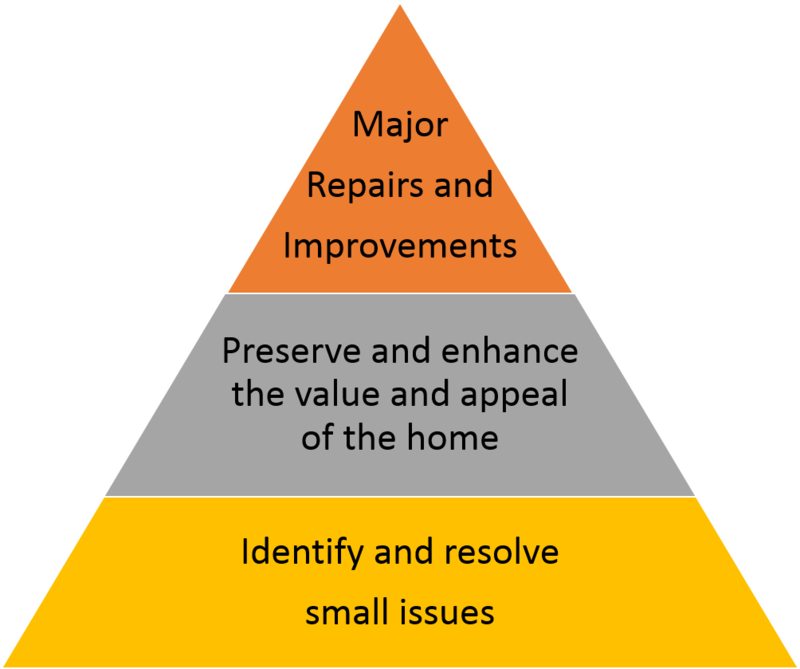 Our comprehensive home management program forms a pyramid of protection for your house. Our Monthly Maintenance Service provides the foundation by allowing us to identify and resolve small issues before they become big ones. 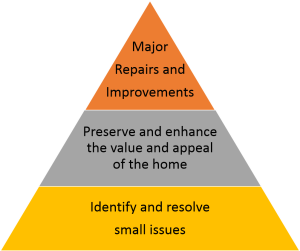 The middle layer consists of all the Value-Add Specialized Services you need to preserve and enhance the value and appeal of your home such as window and gutter cleaning, lawn service, HVAC service, etc. At the peak we work with trusted service partners to handle the Project Management on major repairs and improvements that do arise from time to time. At Hassle Free we recognize that each home, like each customer, has unique needs which is why we assign a dedicated service team to each of our customers. Using our proprietary customer management software, we are able to track specific customer preferences as well as to maintain a comprehensive record of all the work performed on the home. Call us today and start enjoying your home. You guys have been so helpful, I would have gone crazy this year without you! I have been able to call with problems and you have taken care of them for me, thanks for all of the help!